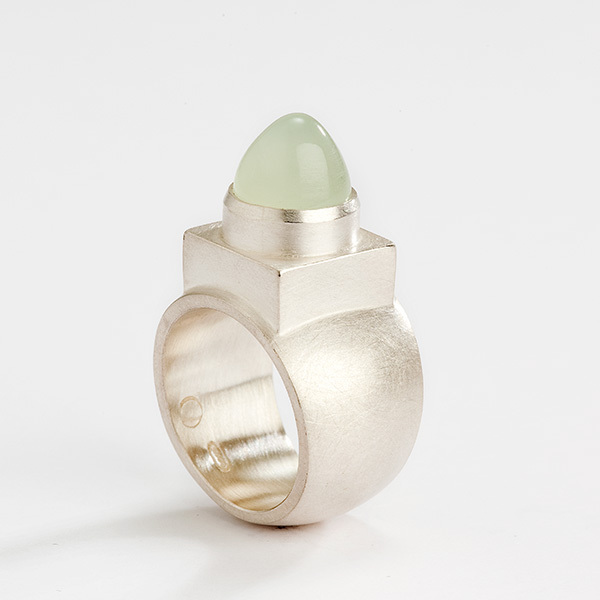 This architectural ring carries a closed volume on top, crowned withe a pointed dome cut gemstone. The sophisticated simplicity of these Classic jewels brings them back to their essence, which makes the diamond or metal speak for itself. With this collection, I am able to combine a timeless design with a high wearing comfort. Clear lines, fine materials and technical perfection are some characteristics of these minimalistic jewels. Due to their pure, sculptural shapes and expressive character, the Classics give a balanced and strong impression. Their purity and beauty make these jewels not only a joy to behold, but also objects that can be cherished for a lifetime.